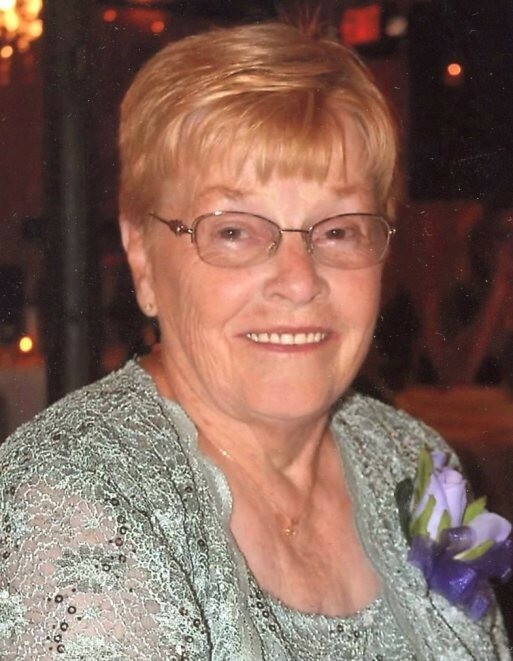 Ileen Kay (Hovde) Kiefat, age 80 of Cottage Grove, MN, died on Tuesday evening, November 20, 2018 at St. Joseph’s Hospital in St. Paul. Ileen was born on July 18, 1938 in Nelson County, ND, one of 11 children to Oscar and Ragna (Fjeld) Hovde. She attended school in Kloten, ND. Ileen later married Lawrence Kiefat on September 28, 1956. She was a homemaker and worked part time at the Red Robin Dry Cleaners. She enjoyed flower gardening, traveling, and collecting tea pots, tea cups, and salt and pepper shakers. Her greatest joy in life was spending time with her grandchildren and great-grandchildren. She is survived by her children, Marcene (Jeffrey) Moritz, Richard (Kimberly), Jacqueline (Jon) Sletten, and Bryan (Colleen); 9 grandchildren, Bradley (Denise), Kristina (Paul), Meggan, Nicholas (Emma), Scott, Elizabeth (Joshua), Lauren (Patrick), Erin (Grady), and Emily; 13 great-grandchildren plus 1 due February, 2019; sisters, Alice Stigen, Darlene Kragtorp, and Linda (Ervin) Kiefat; in-laws, JoAnn Hovde, Jean Kiefat, Deloy Kiefat, Raymond (Bernice) Kiefat, Shirley (Dean) Bentley, and Mildred Mork; and many nieces and nephews. She was preceded in death by her husband Lawrence Kiefat and parents; seven siblings, Bertha (Melvin) Johnson, Kermit (Marie) Hovde, Irvin Hovde, Rudolph Hovde, Evelyn (Jennings) Johnson, Roland Hovde, and Dennis Hovde; and in-laws, Odean Stigen, Alvin Kiefat, Eileen Kiefat, and William Mork. Funeral service will be held on Tuesday, November 27 at 11:00 a.m., with visitation from 10-11 a.m., at All Saints Lutheran Church, 8100 Belden Blvd, Cottage Grove. Interment will follow at Newport Cemetery.